If you are a person interested in protecting, our planet, our childs and your dentition this product is for you. 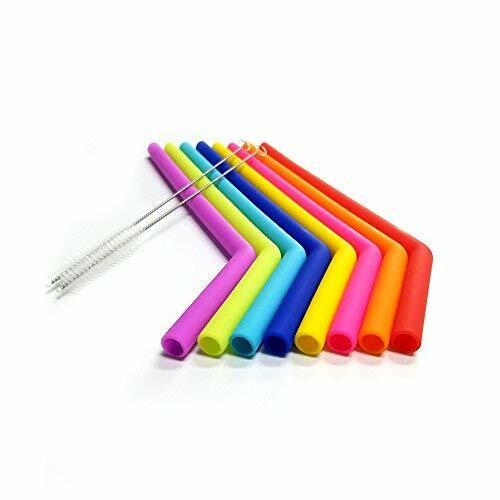 Kartel Empire has manufactured this Multi Colored straws To Prevent you from throwing unrecyclable Straws in the wild. Many of us have childs and we loved them so much and we want the best for them so these straws can't not be safer and funnier for them. Kartel Empire Understand that some people can have delicate mouths and teeths so we generate this new product to be soft and flexible as possible. In conclusion, If you want to protect our environement, amuse your childs, your friends and protect your perfect smile Kartel Empire Has the Perfect Product for you ! SAVE THE PLANET WITH THESES STRAWS! Kartel Empire Has created these straws To protect The planet From Pollution because there is already 1 Billion straws that are thrown away Everyday ! SAFE FOR KIDS! Kartel Empire has developed these straws To be safer as possible for your Kids because Kids safeness is really important for us ! ENJOY YOUR DRINKS MUCH BETTER! Kartel Empire has conceived these straws to make sure you appreciate all the drinks that you loved ! EASY TO CARRY! Kartel Empire has produced these straws to Make sure there are uncomplicated to transport. You will be able to bring them where you want without any problem ! SOFT AND FLEXIBLE FOR DELICATE MOUTHS! Kartel Empire has made these Straws to protect delicate mouths so we Produce them as soft and flexible as possible. If you have any questions about this product by Kartel Empire, contact us by completing and submitting the form below. If you are looking for a specif part number, please include it with your message.